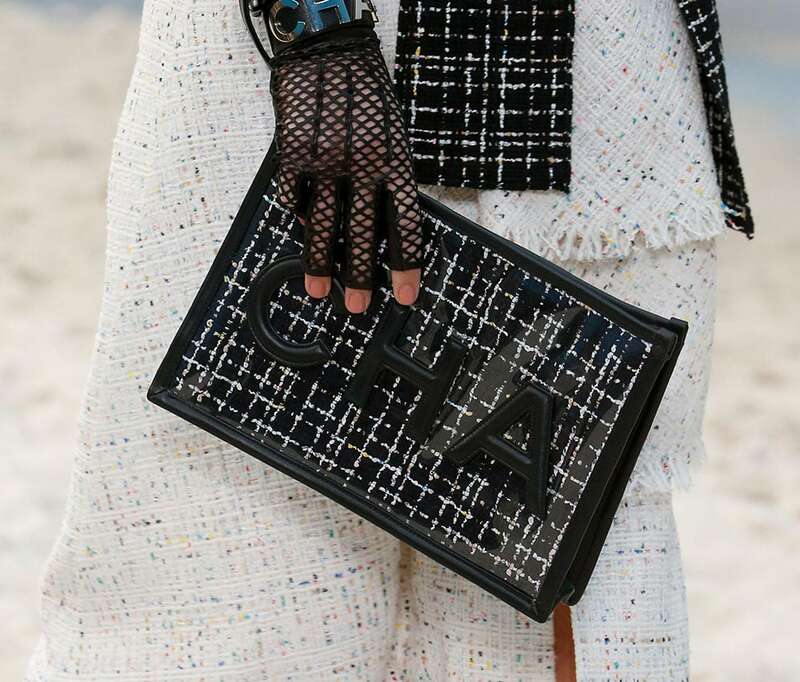 I respect the inconsequential nature of the enormous, expensive, headline-making sets that Chanel constructs for almost all of the four major runway shows it holds ever year. 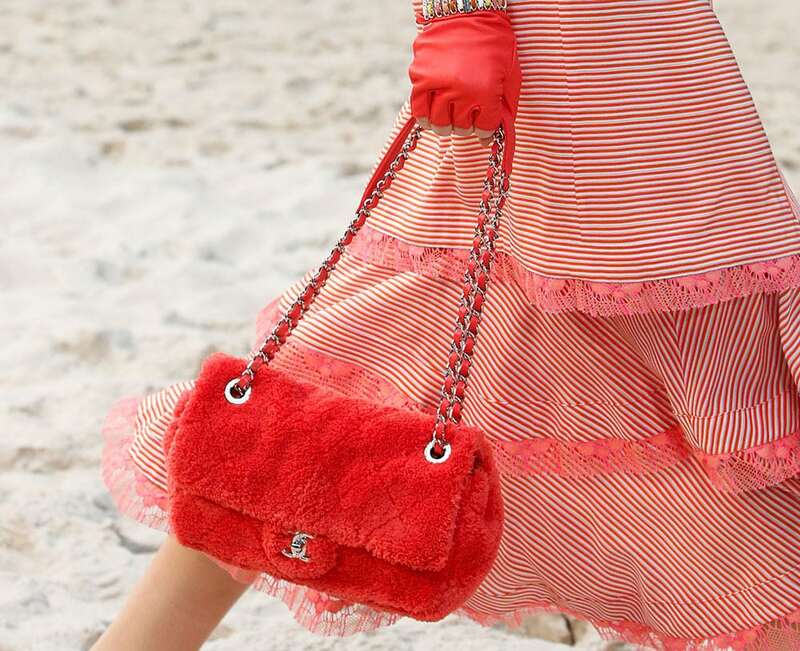 Boats, icebergs, supermarkets, restaurants, and for Spring 2019 an actual beach: season after season, Karl Lagerfeld instructs the brand's event staff to construct something ridiculous, and then on that incredibly grand stage, he shows tweed suits and flap bags and prim little flats, adjusted in color and finish to match the theme but still, on a basic level, the same clothes, accessories and jewelry that we've long seen from the brand. 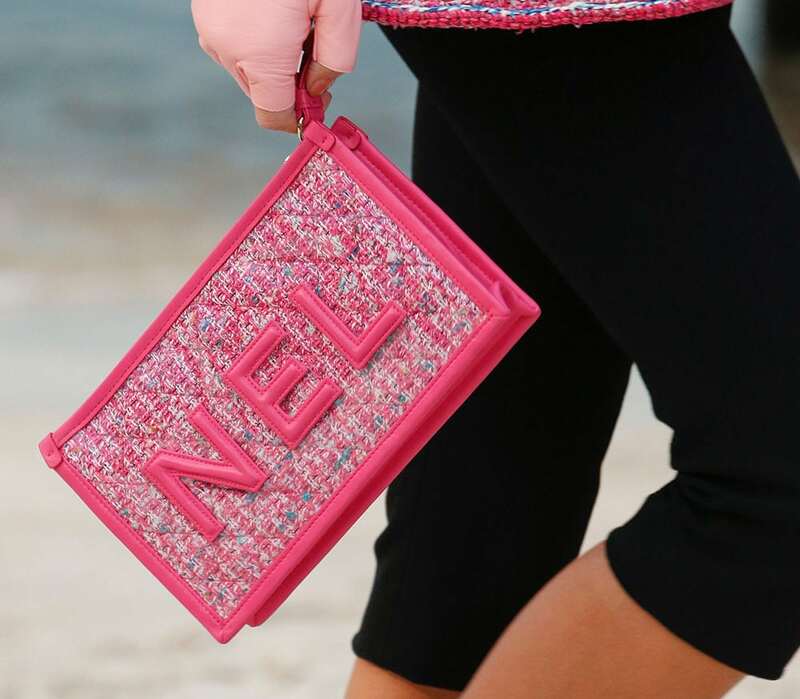 It's like the backdrop of an elaborate theme and set give Lagerfeld ever more high-stakes opportunities to remind you that the one and only real theme is Chanel. 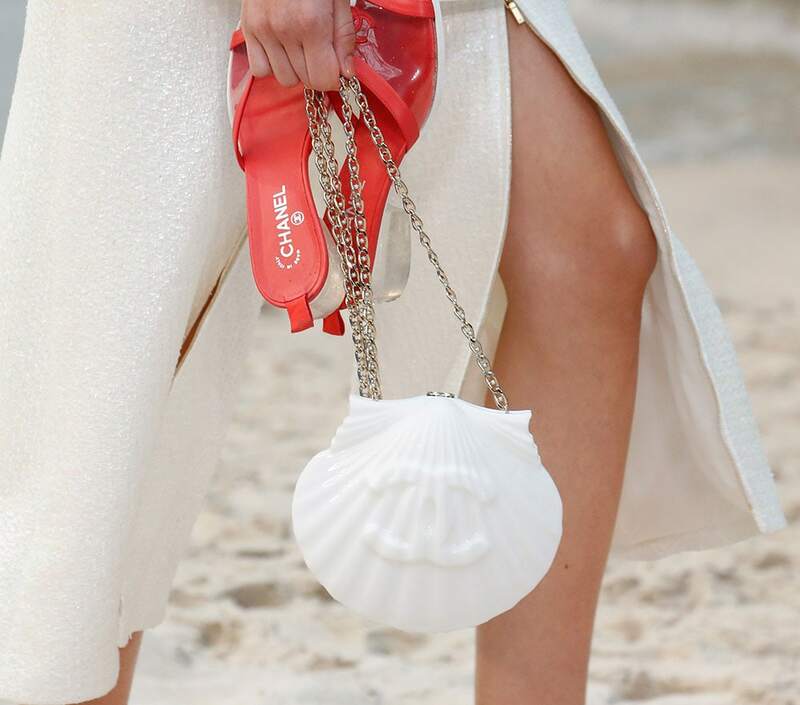 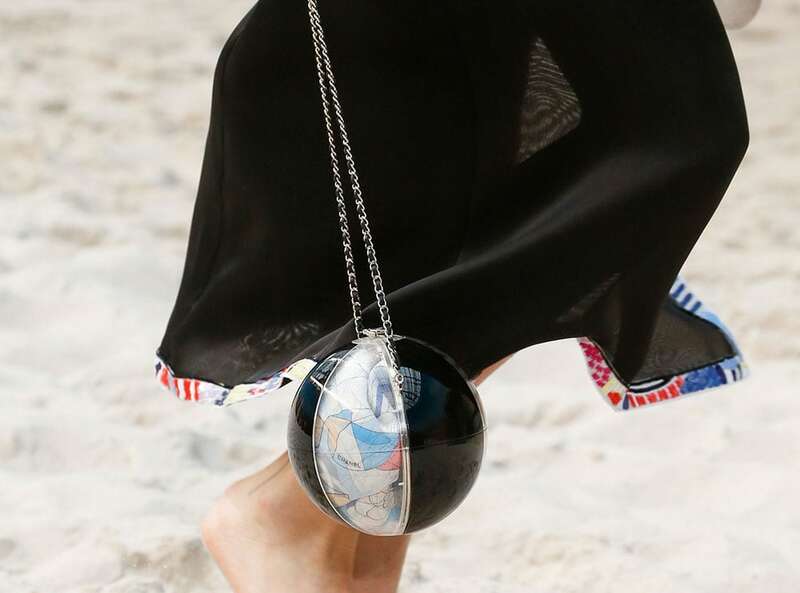 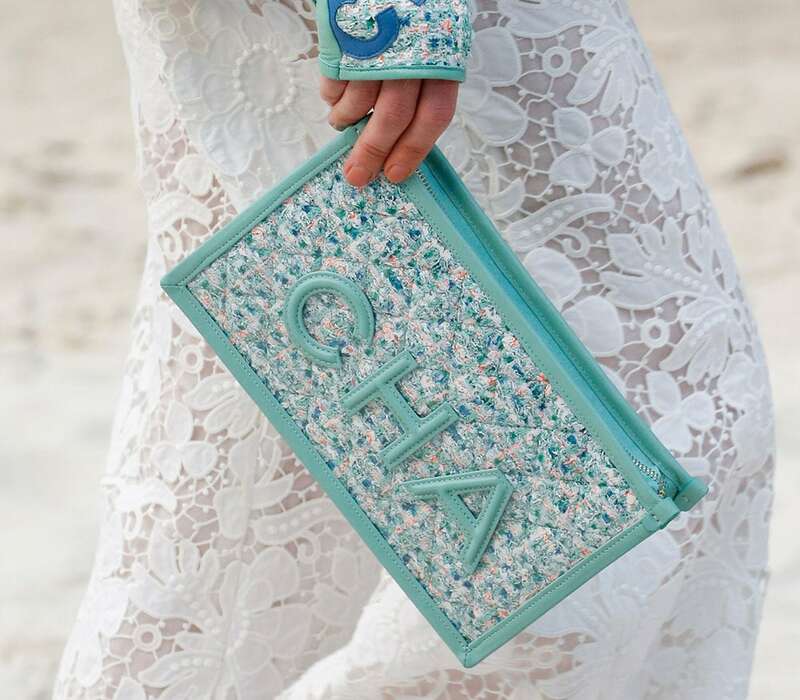 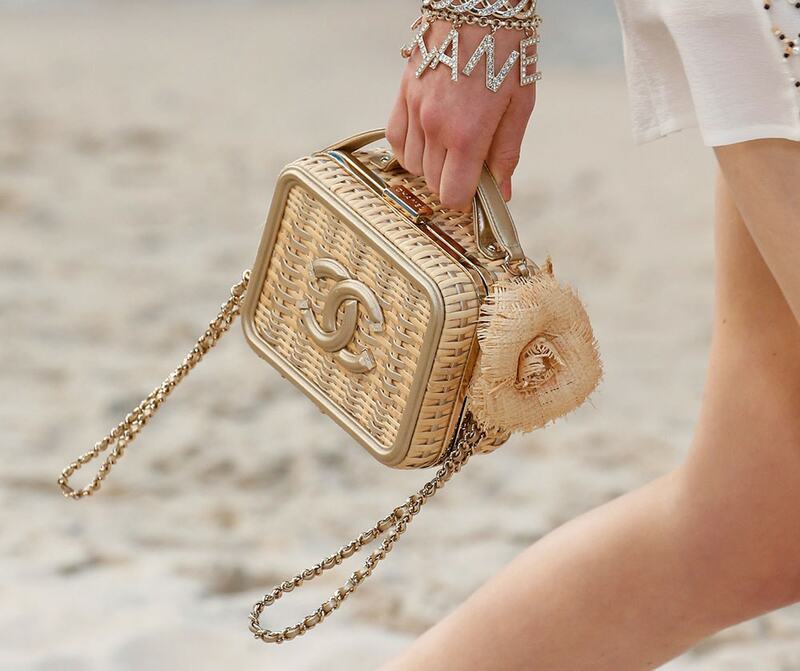 So yesterday, at the Grand Palais in Paris, the models walked down sandy beaches, holding their prim little sandals in their hands, draped with bags that were unmistakably Chanel—but at the beach. 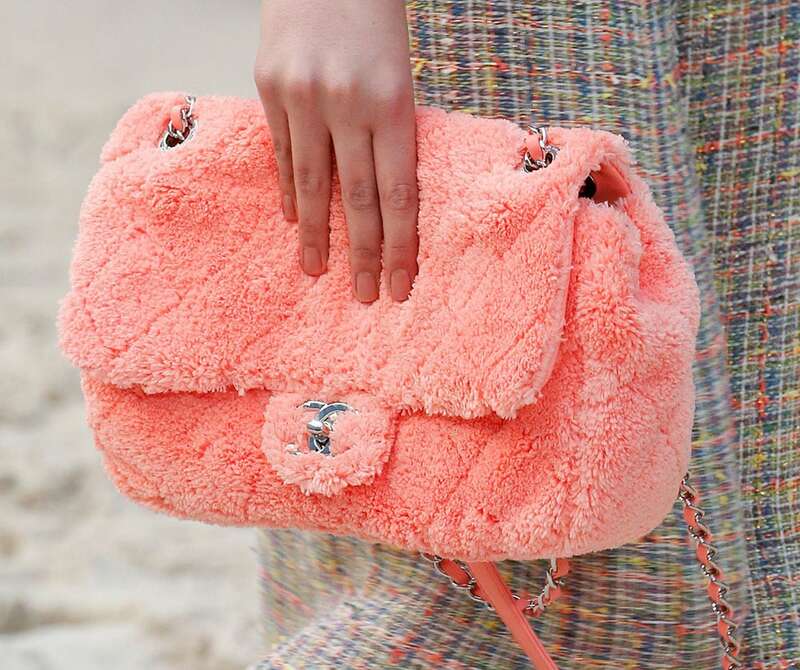 The flap bags were rendered in bright terrycloth, the vanity cases were constructed out of wicker, the pricey minaudieres were miniature beach balls. 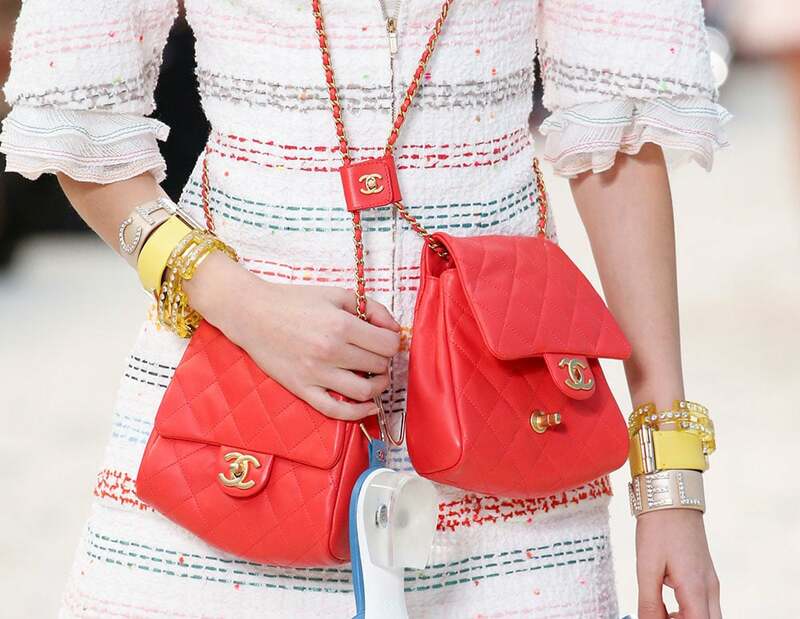 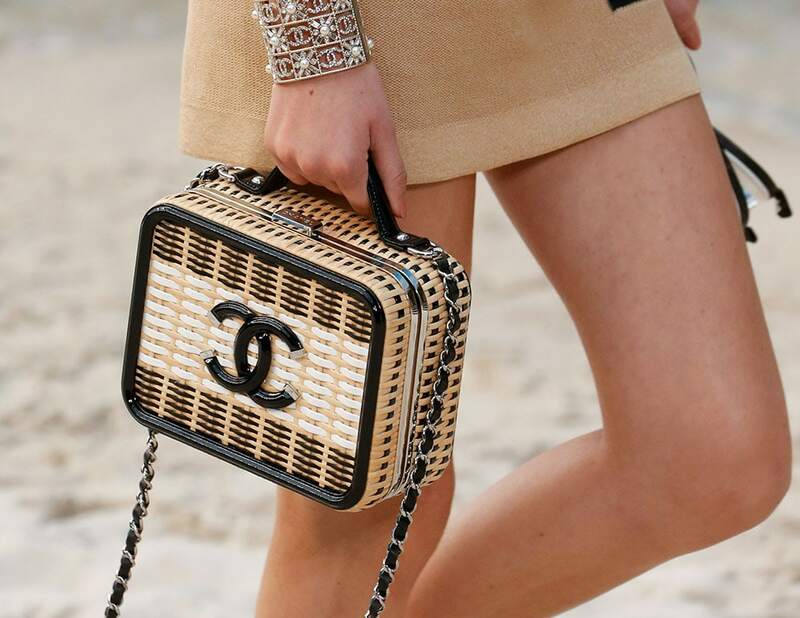 It was all exactly what it needed to be for the brand Chanel is and the customers it serves. 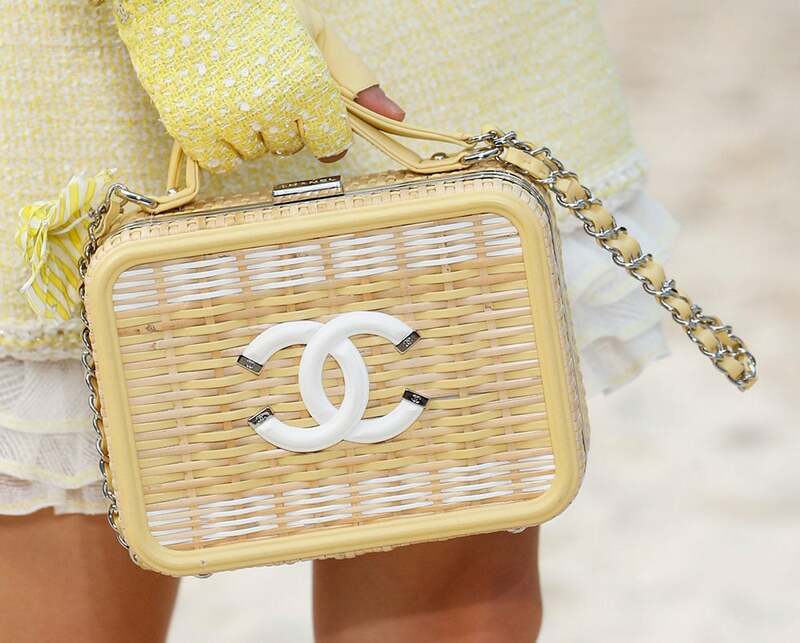 There are times that Chanel's tendency to hew so slavishly to its signatures and fan-favorites bores me, and there are times where it feels comfortingly steady, and today's the latter. 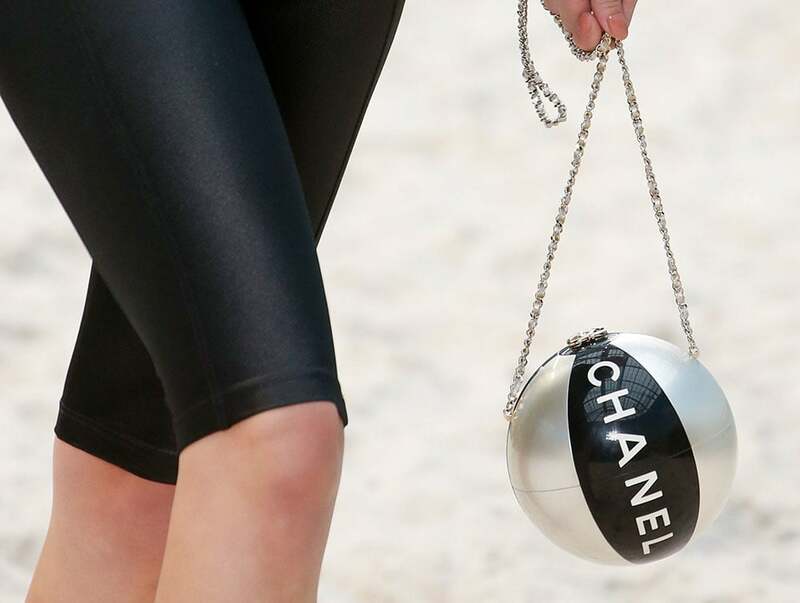 With Celine in the grip of Hedi Slimane and many other brands trying new things that just don't quite work in their current states, it's almost calming to know that while Karl Lagerfeld is there, Chanel will always be what we think it will be.